E-Z Up is known for their amazing lines of professional grade portable Instant Shelters. 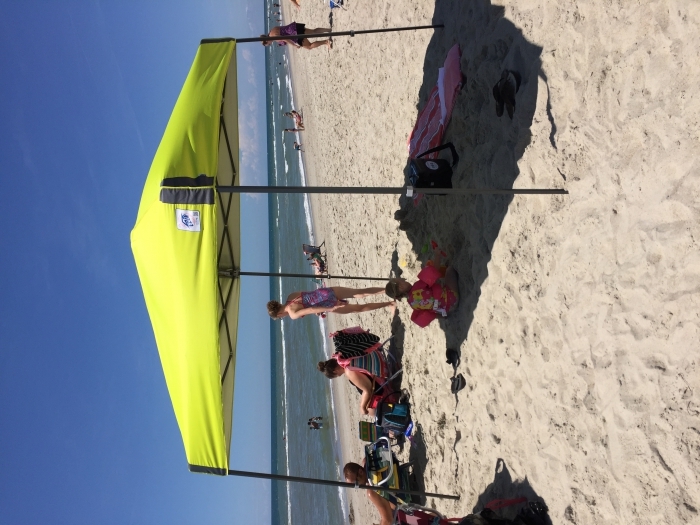 The E-Z Up Vista Instant Canopy Shelter is one of their most popular, easiest to use and carry shelters on the market. The Vista Shelter is lightweight and includes a convenient roller carry bag. E-Z Up also features a few upgrades in the Vista Instant Shelter, including new fabric top colors, and a slanted leg design that adds extra strength and durability for the shelter frame. 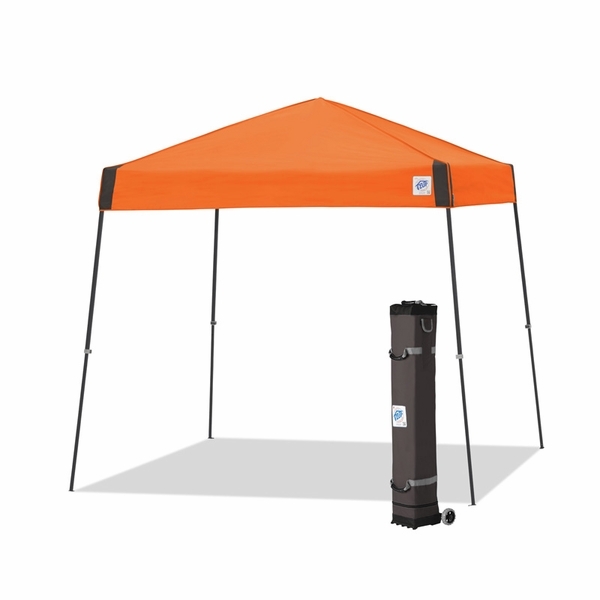 The E-Z Up Vista Canopy Shelter is covered by a 3 year Warranty, and is UV Resistant for your safety. Is one of the canopy top covers yellow? The description is a limeade color with a steel grey frame. Is this a commercial grade tent (I'll be putting it up and taking it down often)? This is not a commercial grade tent. Is the canopy top connected? The canopy top is not connected. 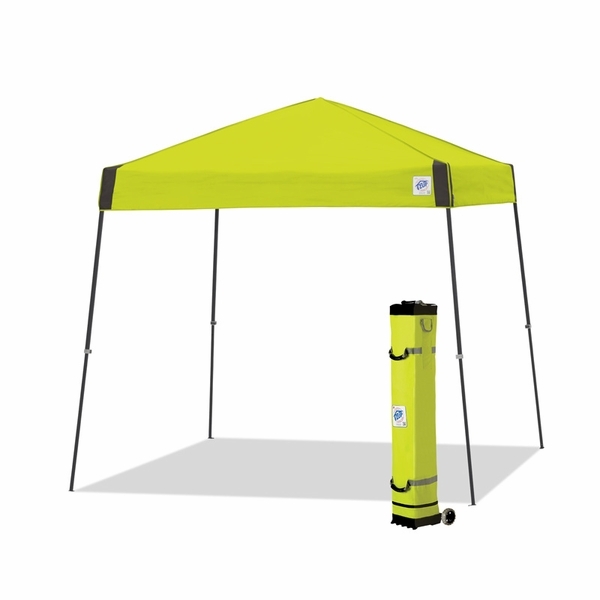 This pop up canopy is water-resistant, but not water-proof. As with all pop up canopies, it is not advisable to use them in inclement weather. What is the interior height of this canopy and how much does it weigh? Thank you for your inquiry. The E-Z UP Vista 10 x 10 Instant Canopy Shelter has a published weight of 38 lbs and also features Clear Span Cathedral Ceiling Provides Increased Headroom up to 8 foot 11 inches. Arrived on time. Good tent for the money. Just what we needed for tailgating at the races. We travel all over Indiana to watch the midget and sprint car races. Provides shade while we have our lunch or dinner at the track. ProsEasy setup and storage. Provides shade on those hot Indiana summer days. A big improvement over older models, quality construction and easy handling. Fantastic product. ProsHigh quality construction and easy use.